Microsoft recently announced a new Xbox One bundle. This bundle will include a digital code for Titanfall, the Xbox One Console, the Kinect sensor, one wireless controller and a headset. It will also include one month of Xbox Live Gold. 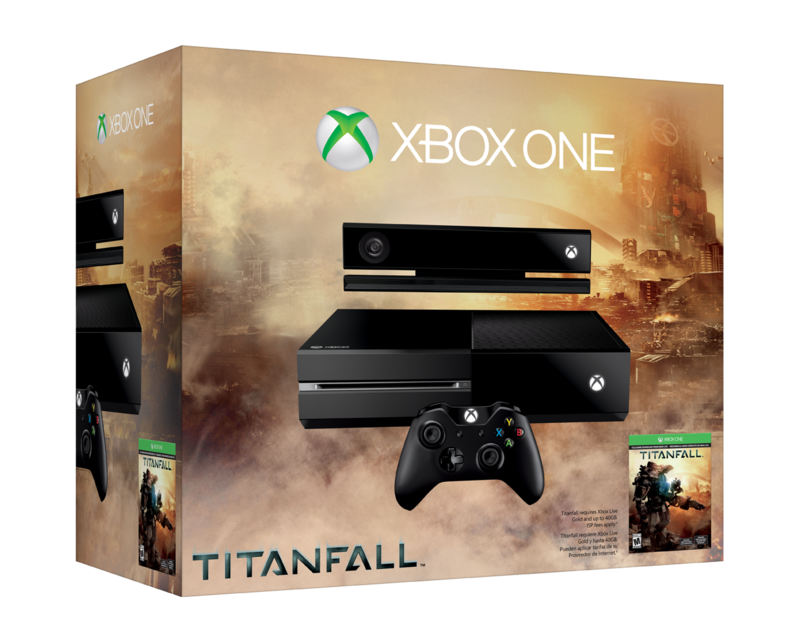 This looks like a pretty good deal for Titanfall fans. The bundle will be available on March 11th, 2014 for $499.99. Will you be getting the Xbox One bundle? On February 4, 2014 Microsoft appointed Satya Nadella to Chief Executive Officer. Former Chief Executive Steve Ballmer stepped down. Satya Nadella has worked for Microsoft since 1992 and has helped to expand Bing, Xbox, Office and Cloud Services. Nadella has a background in Business and Engineering. He has a Masters degree in Computer Science from the University of Wisconsin and a Masters Degree in Business Administration from the University of Chicago. It will be interesting to see how he pushes Microsoft forward. Google hopes to bring Google Fiber to nine metro areas and 34 new cities. Google Fiber gives users a faster internet connection. Google Fiber is 100 times faster then basic broadband and is built on Gigabit speeds. I think it would be awesome if New York got Google Fiber, I could really use a faster Internet connection. Currently Google Fiber is available in Kansas City, Austin and Provo. Google wants to bring Google Fiber to Portland, San Jose, Salt Lake City, Phoenix, San Antonio, Nashville, Atlanta, Charlotte, and Raleigh-Durham. Are you getting Google Fiber if it comes to your city? Nintendo recently held a Nintendo Direct. During the direct they announced some key release dates for Wii U and 3DS games. They also announced that Little Mac would be a playable character in the upcoming Super Smash game. Little Mac is from the Punch Out games. The Punch Out games are fighting games so I am not surprised to see Little Mac in Super Smash. Super Smash will be coming out in 2014. Nintendo revealed that Mario Kart 8 is coming out on May 30th, 2014. They also announced that Gameboy Advanced games would be coming to the Wii U virtual console in April. Some of the games that are coming include Metroid Fusion, Mario and Lugi: Superstar Saga and Yoshi’s Island: Super Mario Advanced 3. I find it interesting that Nintendo is releasing these games on the Wii U. They should be coming to the Nintendo 3DS because they are handheld titles. Nintendo also told us that NES Remix 2 will be released on April 25th. NES Remix 2 is a collection of NES mini games. Nintendo is also releasing Yoshi’s New Island on March 14th, Kirby Triple Deluxe on May 2nd and Mario Golf: World Tour on May 2nd of 2014. I am excited to see how the first true sequel of Yoshi’s Island turns out. I hope it lives up to the original Yoshi’s Island because that was one of my favorite games on GBA. Overall I think Nintendo had a successful Nintendo Direct; I can’t wait to see what they have planned for E3 this year. 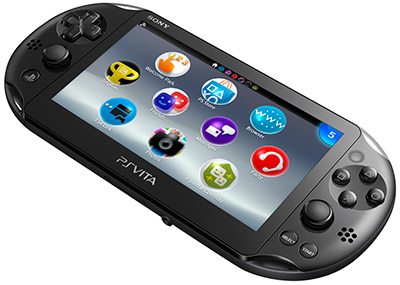 Yesterday Sony revealed that a new model of the PS Vita is coming to the United States. The new Playstation Vita is 20 percent thinner and 15 percent lighter then the original Playstation Vita. The new Playstation Vita ditches the OLED screen for a LCD screen. I think that they should have stuck to the OLED screen because of the brighter and more vibrant colors. Typically OLED screens are higher quality then LCD screens. The new Playstation Vita has 6 hours of battery life; this is two more hours then the original Playstation Vita. It also has 1GB of memory built in. The new PS Vita Slim is coming out this spring for $199. Sony is also releasing a bundle that comes with Borderlands 2, an 8GB memory card and six DLC packs for Borderlands 2. I am going to stick with my original PS Vita. Will you get the new Playstation Vita? Sony confirmed that they plan to sell their PC Business to Japan Industrial Partners. This is a bold move for Sony. Their plan is to come to an agreement by the end of March 2014. Japan Industrial Partners plan is to set up a new company to handle the VAIO brand. Sony plans to focus on the mobile and tablet market. This is a smart move considering consumers interest in mobile devices. In this video I show you how to boot directly to the desktop in Windows 8.1. In order to bypass the Start Screen right click on the bottom bar on your desktop and select properties. Then click on the tab that says navigation and select the first check box under where it says start screen. Now every time you restart your computer it will boot directly to the desktop. You won’t have to worry about that annoying Start Screen in Windows 8.1.